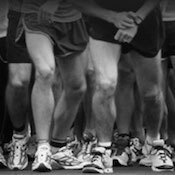 Race Start Time: 7 a.m.
1) Saturday, June 30 from 8 -- 10 a.m. @ St. Marys Elementary School (600 Osborne St.) During the Kids 1 MIle Fun Run -- Click here for registration for that event. 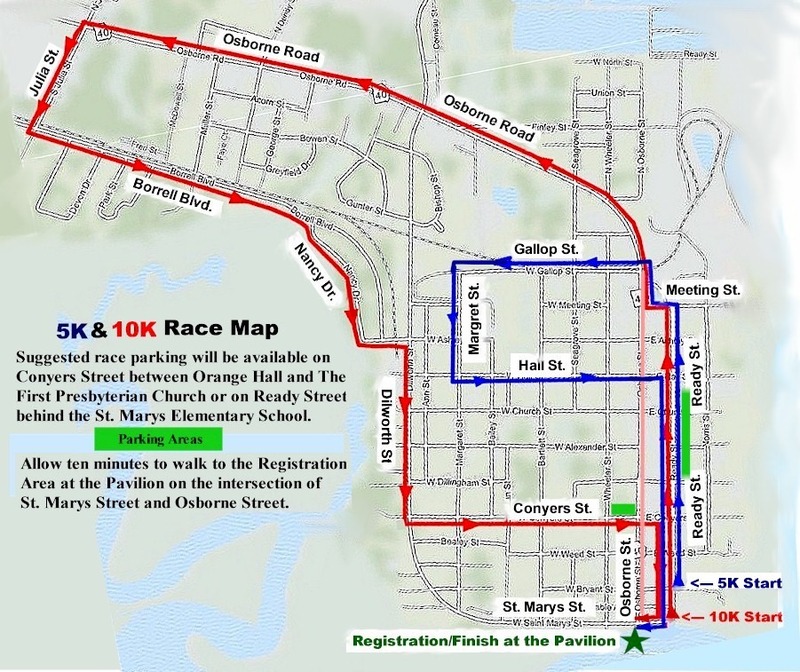 5K & 10K Race that takes runners from the waterfront area to historic downtown area, neighborhoods, and marsh views. St. Marys is located just over the Florida-Georgia state line. Take I-95 to Exit 3, Georgia Highway 40, and follow the signs east to downtown St. Marys. Registration will be held at the waterfront pavillion at the end of Osborne St. in downtown St. Marys. Available on Cony­ers St. between Orange Hall & The First Presbyterian Church or on Ready St. behind the St. Marys Elementary School. Allow 10 minutes to walk to Registration Area. Pre-registered runners who register by June 25th will receive their race shirt for race day. Those registered after June 25th will receive race shirts after the event. An additional $5 mailing fee will apply for those runners who are not pre-registered by June 25th and request their shirts be mailed. Shirts will be available to be picked up locallyabout two weeks after the event without a mailing fee. Overall Male & Overall Female in 5K & 10K. Top 3 male and female finishers in at least 7 categories. 9 a.m. Award winners must be present at awards ceremony to receive award. Offical timing will conclude after 60 minutes (5K) and 90 minutes (10K) to allow race results to be compiled for awards ceremony. The Kiwanis Club of St. Marys has served Camden County for over 50 years!